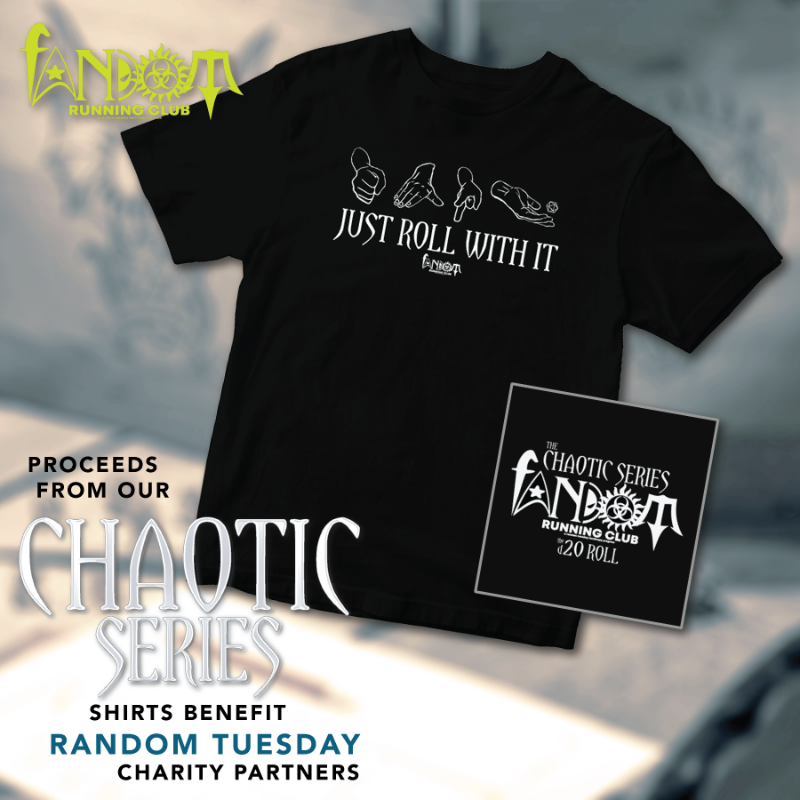 Fandom Running Club is pleased to announce the first event in the Chaotic Series! The iconic d20...the icosahedron which determines success or failure. Every tabletop RPG player knows that this is the most powerful weapon in their arsenal, for with a roll of a "20," you can hit anything or save yourself from the most heinous magical attacks. Of course, there's always the dreaded "fumble," or critical fail, by rolling a "1"...an outcome that is certain to result in the (most likely hilarious) demise of your beloved character. 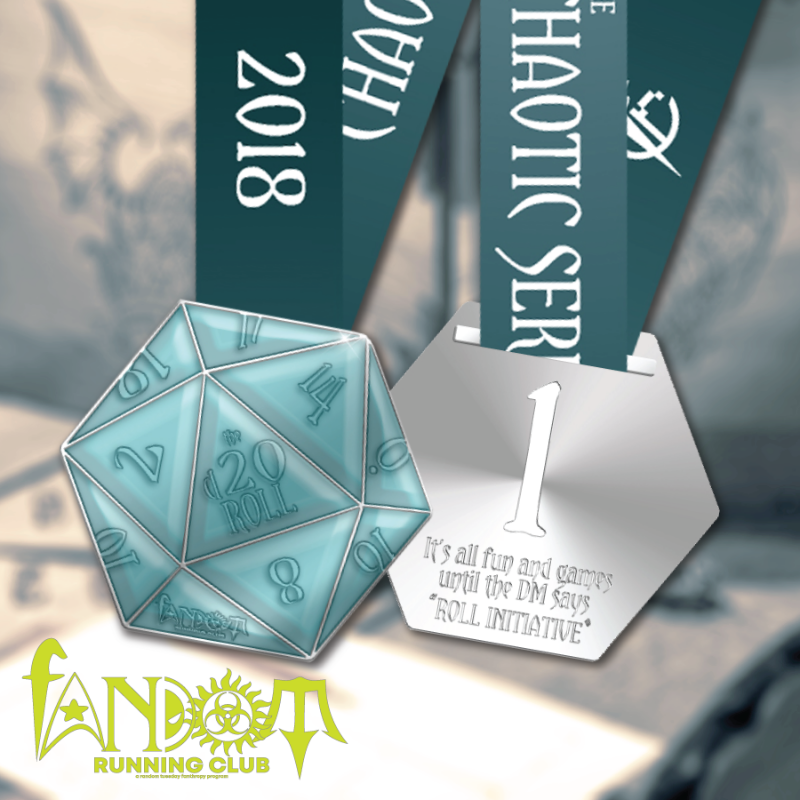 Your registration for the d20 Roll includes an awesome 3" medal with beautiful blue epoxy, a satin dye-sublimated ribbon, and the ever-popular custom digital bib. The distance is a 20k, but this is a virtual run, so you can complete the distance anywhere and any way you want! You can do it in one go or you can break up the distance to make it more manageable. The second medal in the Chaotic Series is now available! Dragons!!! Of course, we had to do an event about Dragons! At some point, your campaign is going to encounter a dragon. Do you fight? Do you run away? Do you throw your bard into its mouth to slow it down? Well, if you encounter the King of Good Dragons, Bahamut, you bow. And if you encounter the Queen of Evil Dragons, Tiamat, you...ummm...well, you die. You really don't have a choice on that one. And, of course, there's a super awesome geeky shirt! Mere mortals settle a dispute with rock-paper-series...but if you want to utilize a little bit of chaos, you use a d20! For more information (and to just geek out about your favorite fandom), join our community on Facebook, FRC Fan Domain. If you're not on Facebook, check out the FAQ on our website at fandomrunning.org! Sign up for the d20 Roll today and embrace your geek!